I've decided that once again, it's impossible for me to pick only one or two items from one seller to showcase today. Plus I figure it isn't really fair to only feature one shop all weekend! I'll be leaving tonight for home, which is deep in the backwoods of Northern Ontario and I won't have internet access (not really anyway).. but I will be gorging myself on lots of good homemade food! I was inclined to do another fall / Halloween feature, but I came across some items that weren't holiday related and too incredibly neat to pass up today. So even though it is Thanksgiving weekend, I won't feature much fall things... I know, terrible. But wait until you see what I have to show. 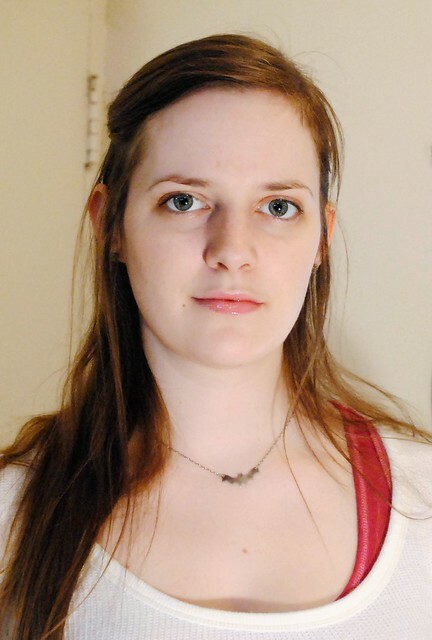 Isn't that deer adorable, by the way? "Oh deer" pendant and chain are made by gNeebo, who also crafted this cute little "Birdie Dusk" pendant. 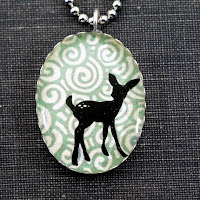 I love the pretty mint swirls behind the fawn, and the sweet little spots on his rump remind me of Bambie. 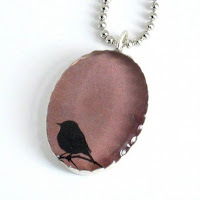 The chickadee piece has a perfect balance between wide open space (the dusky pink sky) and dark shadows. Both are prints protected by a thick covering of domed resin and encased in sterling silver with a scalloped edge. Both are classic pieces that are sure to become staples in your wardrobe. 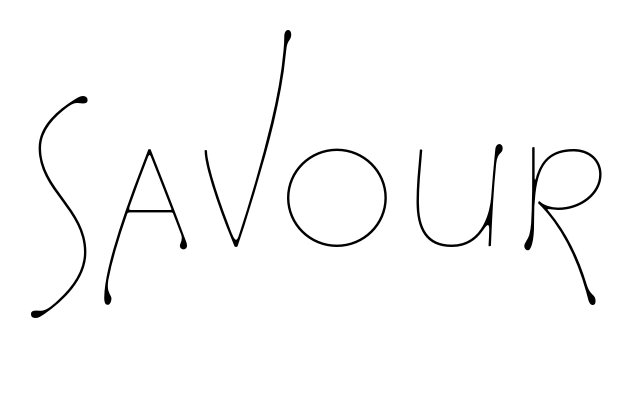 Be sure to check out this store, there are tons of classic pendants and other jewelry that you are going to love! I love buttons. They are so pretty, bright and come in so many different colours and shapes. You can't go wrong with buttons. 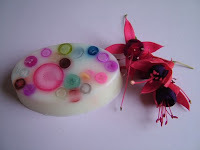 And now you can be as clean as a button, with this "Clean as a button soap bar" by soapytimes! What a clever and endearing idea!!! Gently scented with a linen fragrance, this soap would smell so fresh and clean ~ like laundry right off the line (or climbing into bed with freshly wash sheets straight off the line - not applicable if you live in the city and have smog-smelling clothes!). Once you're done using it, you have a bunch of fun, new buttons to craft with!! 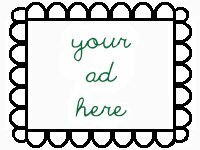 This would make an excellent gift to anyone who loves to craft or sew and great for kids too (those old enough to know not to eat small pieces of plastic though!) ~ it would be a simple matter to get kids into the bath if they might unearth a "treasure" or two this wash! This beautiful print is called "Summers End 2" and I command you to also take a peek at Summers End 1 and 3, they are all equally gorgeous!! 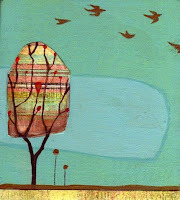 They are prints on fine velvet art paper of original mixed media paintings by cathynichols. Since I really only have room here for one picture of the three, I chose #2 because of the amazing pattern of the tree ~ it looks as though it is shimmering behind the dark branches. This pattern is also used in the other prints, but in smaller forms (along with some other great patterns). The pretty birds, simple flowers, mellow mint-blue sky and clouds make these three prints a fantastic set! Imagine receiving these as a gift... how delighted would you be?? I know I would be thrilled!! Alright, since we're at summer end with these beautiful prints, I may as well bring up these great tags next. Aren't they perfect for all your fall tagging needs? 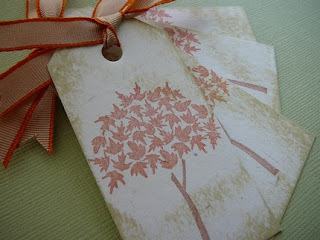 These fall foliage tags are handcrafted by petitepear, and you get 4 with this listing. The inking on the tags gives them a great vintage feel to them, which somehow reminds me more of autumn than any other season. They remind me of home, falling leaves, hot chocolate or cider and a juicy apple... mmm, I love fall. The beautiful burnt orange striped ribbons are a stunning complement the rusty leaves and brown bark. I can just picture these on a large bouquet of mums, or attached to a centerpiece wrapped in cellophane, gorgeous and ready for delivery. Make sure to pop into this shop often ~ there are a lot of seasonal tags and other paperie. This next pendant is so bright and fun, I just had to add it to this post. A great way to kick off the holiday weekend and get in the mood for Halloween ~ I can see this pendant on mothers bringing their kids trick-or-treating or on girls (heck, even on boys) of all ages as they hand out candy to all the wandering spooks! 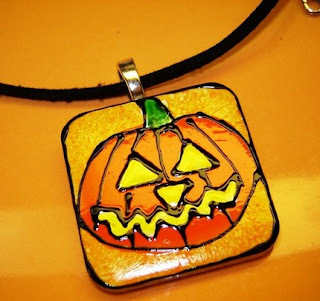 This pumpkin pendant is so brilliant and joyous! Handpainted on a ceramic tile by gardengoddessmosaics, the bright orange and yellow is definitely attention grabbing! But it isn't so big that you couldn't wear it in April in anticipation for a favourite holiday. Get it today, and start celebrating!